While technology advances in healthcare have resulted in lower error rates, faster claim processing, and has enabled rapid network growth; it comes with a price. As payers and providers adopt new technology, they find themselves in the situation where they require more IT staff to support it, and to ensure that changes to the software systems are deployed and adequately tested. EHR implementation and upgrades, ICD-10, and other compliance initiatives means that more testing is needed now than at any time before. Some organizations will struggle if unprepared for this need. Payer systems rely on interfaces with both Providers as well as other partners that provide services though partner networks. Their systems are usually made up of several integrated applications combined with external interfaces. Providers also need solid testing methodology and the resources to carry it out. Software vendors continually update and improve their software, and providers are faced with the challenges of continuous software integration with frequent updates on multiple systems. Both Payers and Providers need a solution for testing the impacts of software upgrades that reduces the impact on clinical staff, reduces the time to conduct the regression testing of all impacted applications, and at the same time increases the reliability and quality of the testing activities. A reliable performance testing solution is a must to assure efficiency. Vendors upgrade to help providers meet certification for meaningful use, add additional features, or improve performance should be verified for functionality as well as performance. Testing these applications natively, or via remote access deployments such as Citrix and Remote Desktop present major challenges to in-house resources who may only have the healthcare subject matter expertise but not the technical testing skills for automation. 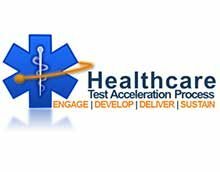 Northway Solutions Group developed the Northway Healthcare Testing Acceleration Process, specifically for the Healthcare IT market. It is designed to help both payers and providers with everything from test methodology, test requirements, manual and automated functional testing, performance testing, security testing, as well as the challenges of having test-ready environments. Northway has developed an automation strategy that works with any organization, regardless of its current testing process and tools. Northway automates functional and performance tests based on existing test assets for individual systems, as well as the integrated whole. Northway enables the client to accelerate test execution by leveraging powerful applications to stub out both the data and the interfaces to other systems/applications within the solution stack. Northway helps the client define the strategy to maintain the regression suite over the life of the affected systems. 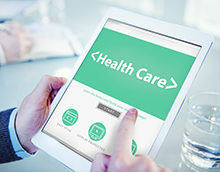 This innovative approach allows healthcare organizations to harness the power of the tools and techniques needed to successfully manage their ever changing IT environment.